PDF Library Believer's Authority Heavenly Man, Yun Torch + Sword The Harvest Supernatural Childbirth Faith Shoemaker's Vision Daughter of Sacrifice. given to a young Asian girl named Sarang. The following is an interview with Sarang and her mother regarding all Sarang saw. 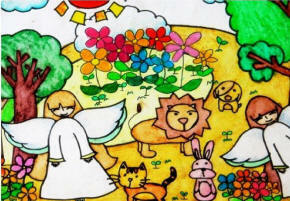 Included are pictures that Sarang drew depicting what she was shown. 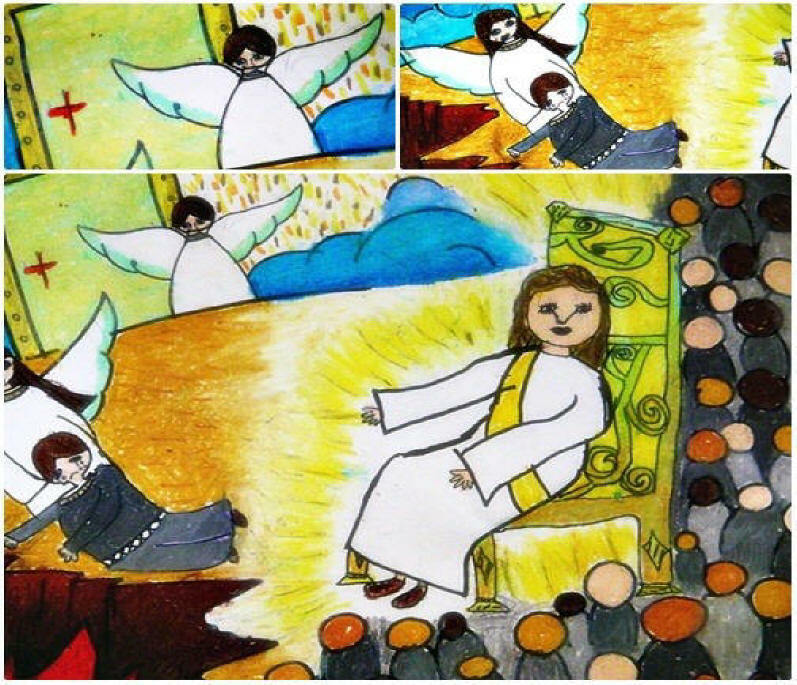 Recently, the Lord showed the near future to a little Korean girl named Sarang. He gave her a powerful spiritual experience and is now speaking through her to all people on earth. She was shown the last days of the world, while she was between being asleep and awake. (Joel 2:28) She saw only a few people being brought up to Heaven, while the rest of the people on earth were burned by the sun. 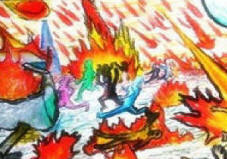 It was like during the days of Lot, when burning sulfur rained down from Heaven and destroyed Sodom and Gomorrah. (Genesis 19) Sarang saw people, as numerous as the sand on the seashore, falling into Hell after burning sulfur had rained down upon them. 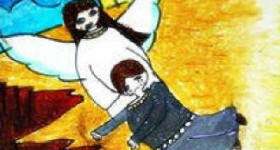 The Lord Jesus expressed sorrow for all the people who will be burned forever with burning sulfur in Hell. Sarang shares her spiritual experience, shedding tears on behalf of Jesus’ sorrow. Her tears represent God’s sorrow for the people who will be burned with burning sulfur. You who are hearing this message, please share the sorrow of the Lord. I pray that each of you will do your best to welcome the Lord and stay awake, so you will be lifted up in His arms. Sarang, please tell me about your spiritual experience. A few days ago while I was reading the Bible, for a short time I was in a state between being asleep and awake. During that time, I saw Heaven and Hell. And the Lord told me that I must tell everyone living on earth what I saw. Recently, Sarang came to me and said, “Mom! I saw Heaven and Hell!” And she started telling me what she saw. I just listened to her story. As I listened, I realized that she had not just had a mere dream, but a spiritual experience. I believe Jesus gave her this experience so she could warn everyone about the Day of Judgment. 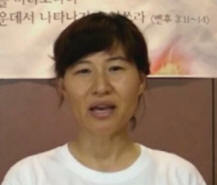 Sarang was raised daily in the Word of God, in Ju-sarang Church. She can hear God’s voice very clearly. 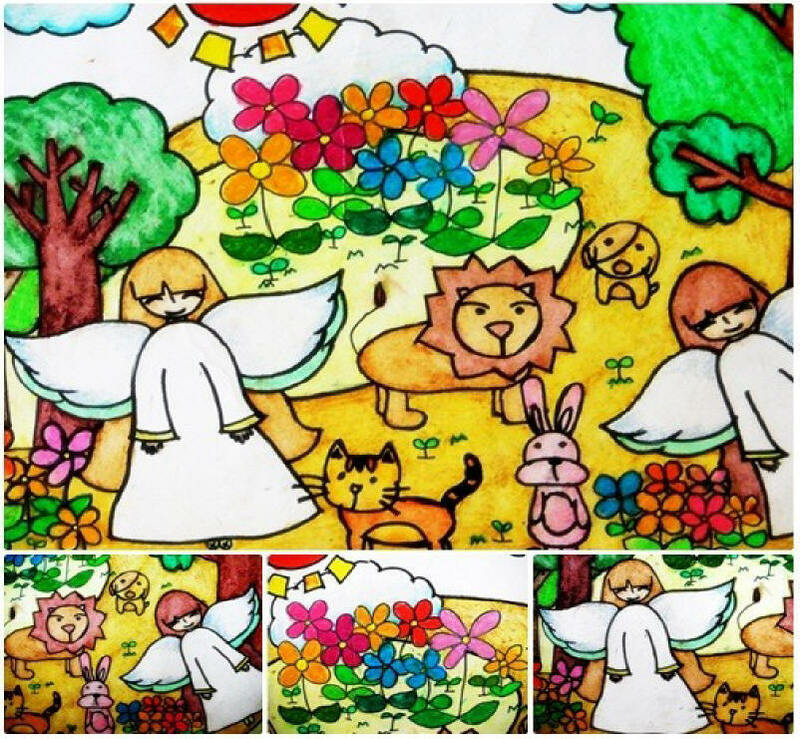 I am sure that the Lord is preparing His people by telling them through children as pure as Sarang about the impending Day of Judgment,. I saw a long, big bus that was shining brightly. There were about 30 people waiting in line at the front of the bus. When the door opened, all the people in line started getting on the bus. As soon as they were all on the bus, the door closed. Suddenly, people in gray clothing appeared and started pounding on the door, asking for it to be opened. However, the door never opened again. (Luke 13:25) So they gave up and walked away, scowling terribly at the heavenly bus. As they walked away, they turned black. What else did you see by the bus? There were also angels by the bus. The angels looked five times taller than common people. They were dressed in glistening white clothing and were holding flaming swords in their right hands. They were protecting the bus and the people inside. What did the people do inside the bus? Everyone was smiling. As I looked closely, I saw that some of them were reading the Bible, while the others were listening to the Word of Life on MP3. Who sat in the driver’s seat? My pastor was in the driver’s seat. And there was a dazzling, bright man sitting next to her. He was so bright that he didn’t seem to be human. Behind my pastor was sister Seon-eui. I don’t know who the others in the white clothing were. Where did you go after that? 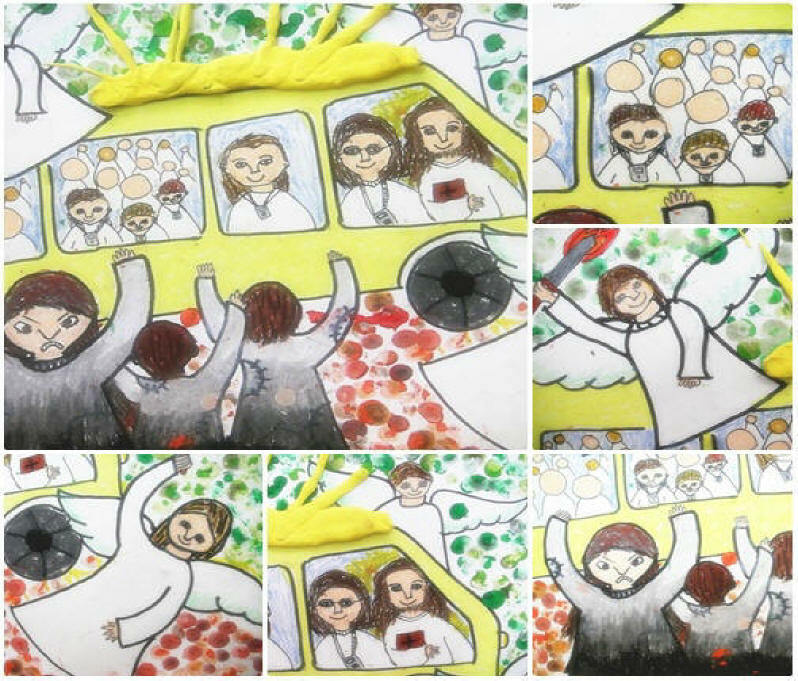 The heavenly bus was flying up to Heaven with the angels. But as soon as it rose, burning sulfur started raining down from Heaven. And the ground opened, and fire came out here and there. People cried out for help shouting, “Help me! 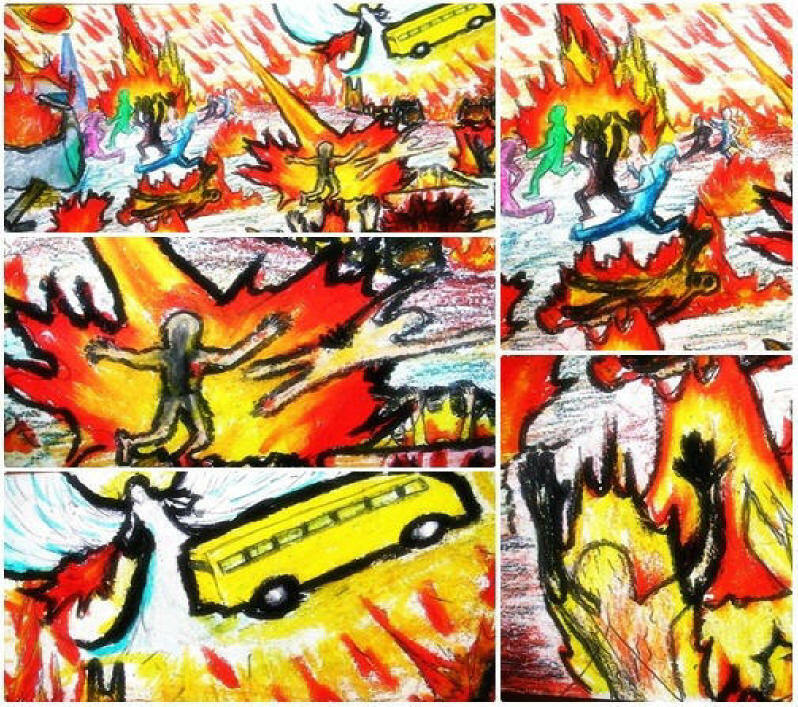 Help me!” But the fire burned all the people who couldn’t get into the heavenly bus. How did the people in the bus look? They all had peaceful smiles. Where did you go after the heavenly bus flew up to Heaven? The bus rose and arrived at a place in Heaven. 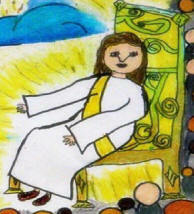 I saw a shining throne, and the Lord Jesus sitting on it. Also, there was a door behind the throne that could only be opened by angels. 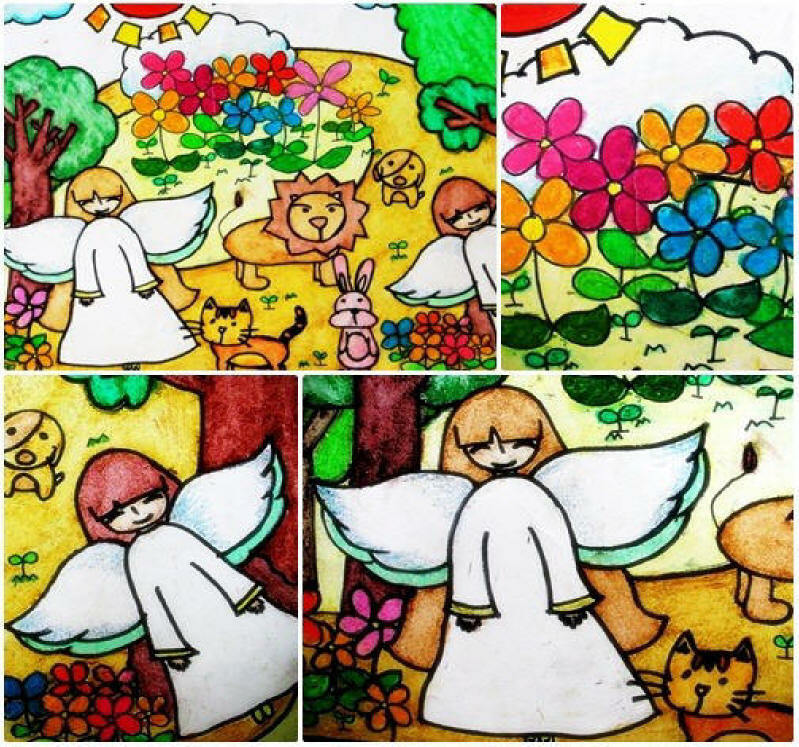 After awhile, the angels opened the door, and the people from the bus walked through it. As soon as they had all gone through it, the door was shut. I then felt strongly that the door would never be opened again. What did you see when the door opened? What happened to the remaining people? What did you see in Hell? 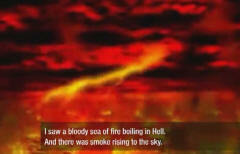 I saw a bloody sea of fire boiling in Hell, and smoke rising to the sky. The sky was so dark and gloomy that I couldn’t see its end. I saw winged beasts flying in the sky and shouting. It was so scary and horrifying. 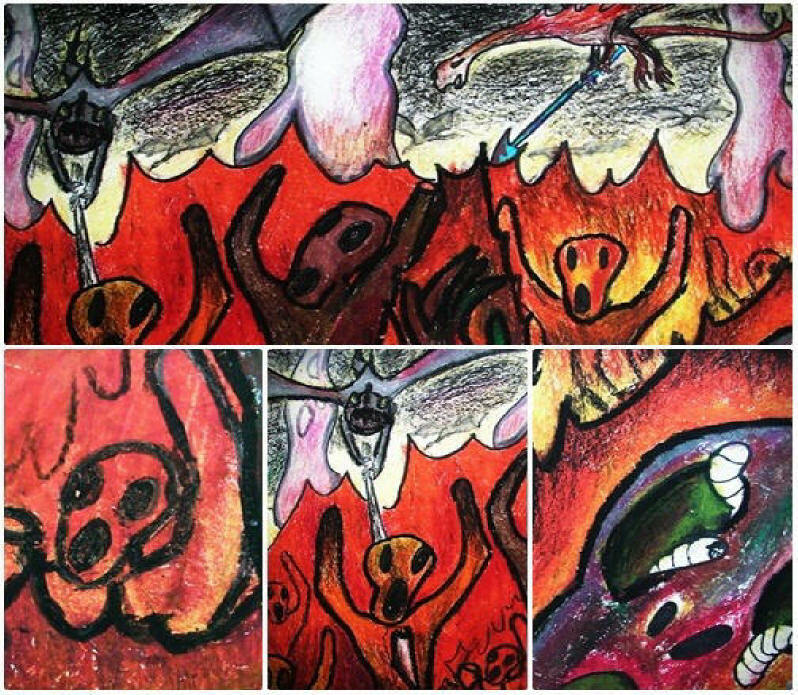 The winged beasts hurled terrible insults at the people, saying, “You did nothing but commit sin!” The people were crying out in the sea of fire, shouting, “Please save me!” However, the louder they shouted, the more their torture intensified. The beasts stabbed the people with swords. There were lots of tiny worms that ate the people away. (Mark 9:48) I was really scared, but then I looked up to the sky and saw the Kingdom of Heaven, and I didn’t feel scared anymore. I felt scared seeing Hell, but when I saw Heaven, I was filled with joy. After this experience, I became fully conscious again. I felt like I had just come back from Heaven and Hell. After that spiritual experience, I thought to myself, “I will go to Heaven at ANY cost, and I won’t go to Hell.” I think very few people in the world will be saved, because I only saw 30 people in the heavenly bus, and the remaining people living on earth were thrown into Hell. It might be even less than 30 people, because it says in Luke 17:26 that the days of the Son of Man, which is the end of the world, will be like the days of Noah. And the number of people in Noah’s Ark was only 8. Only 8 people were saved in Noah’s day. So I believe that the number of people who will be saved will be very few. So, I am firmly determined to stay awake from now on and to go to Heaven no matter the cost. The Lord said that His coming is near. However, nobody knows the exact day and hour. (Matt 24:36) Therefore, we must always stay awake and be ready to meet the Lord (Luke 21:36), because the person who does not meet the Lord, when the Lord comes as a thief in the night, will not go to Heaven! Lord! Thank you for this precious experience. I love You! **Sarang, is the Korean word for Love.